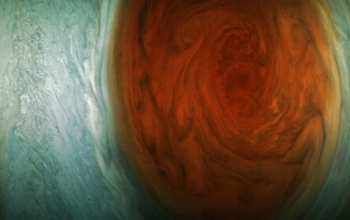 The JunoCam imager aboard NASA’s Juno Spacecraft captured new images of Jupiter’s Great Red Spot, revealing a tangle of dark, veinous clouds weaving their way through a massive crimson oval. Juno snapped the new pics of the most iconic feature of the solar system’s largest planetary inhabitant during its Monday (July 10) flyby. 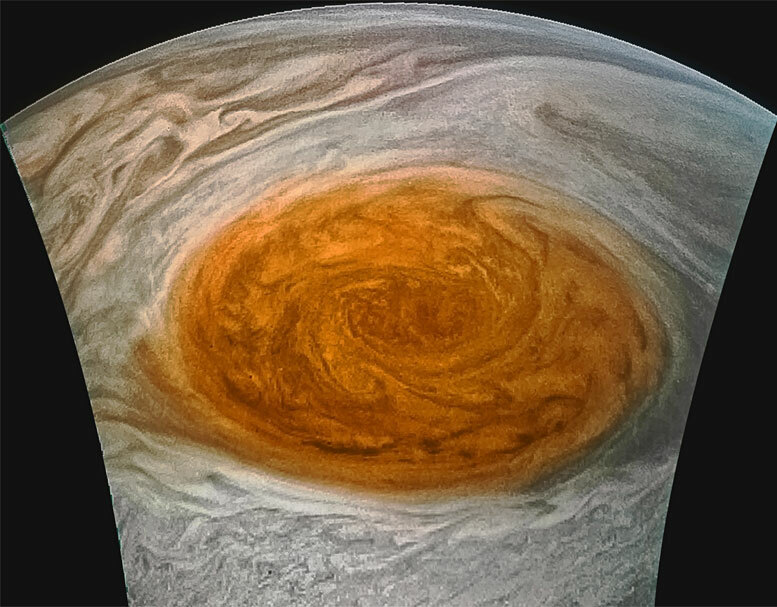 The images of the Great Red Spot were downlinked from the spacecraft’s memory on Tuesday and placed on the mission’s JunoCam website Wednesday morning. Juno launched on August 5, 2011, from Cape Canaveral, Florida. During its mission of exploration, Juno soars low over the planet’s cloud tops — as close as about 2,100 miles (3,400 kilometers). During these flybys, Juno is probing beneath the obscuring cloud cover of Jupiter and studying its auroras to learn more about the planet’s origins, structure, atmosphere and magnetosphere. 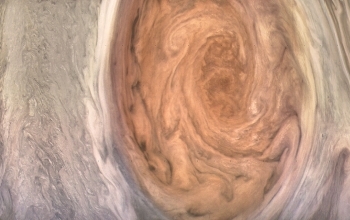 Be the first to comment on "New Images from Juno’s Recent Flyby of Jupiter’s Great Red Spot"